Going on long car trips can cause issues when there is no internet especially when one person has a movie/song file another wants to hear or watch. Mass storing all your media files and then having your own traveling portable WiFi that shares all the data to any device is possible on the cheap. These devices have different names such as portable router, traveling router, mobile router and so on. Whatever name they go by the main thing to look for of any router that can share files in a vehicle, is its compatibility with multiple devices, storage capacity, and charge time. Some of these mobile routers have many other features such as connecting to your home files when an internet connection is available, or even a VPN that secures your connection. Everyone will have a different need from a portable router such as someone traveling with children, streaming their own movies to their own devices can easily be done. Someone who travels a lot for business may want more storage for data, access to home data, and security such as a VPN while doing so. One size mobile router doesn’t fit all so here is our picks for best portable routers. 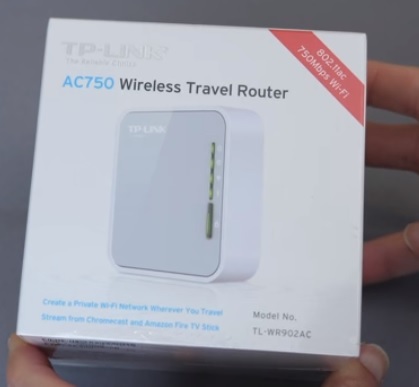 TP-Link makes many good router including portable travailing routers. The TL-WR902AC is one of there newest units that comes with the new WiFi-5 wireless-AC protocol. They also have a Wireless-N unit that at a lower cost, see below. It has many built-in features including Router, Hot-spot, Range Extender, Client, and Access Point Modes. 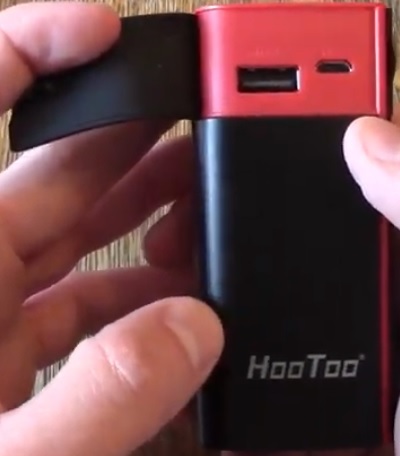 It is powered by a Micro-USB cable and has a USB slot for a flash-drive or other external media. Media such asd videos or music can be copied to a flash drive and shared. There is a switch that sets the mode along with an Ethernet port. The TP-Link TL-WR902AC is a great unit with many built-in features that makes it nice when on the road or even at home. TripMate makes many different styles of portable routers. The Titan is a follow up to their poplar Nano unit. The Titan is a good router to add sharing data to a moving vehicle via mobile WiFi. It shares data by using a USB flash drive or Mirco Sdcard. It can also share WiFi in a hotel, secure communications, and connect to your home files. Since many hotels only have one WiFi connection point and charge for more the TripMate Titan can share an internet connection to multiple devices. Videos and music can also be copied to a flash drive or SD-Card and sherd with multiple device. For example it can be setup in a vehicle with movies copied to a flash drive and shared to any smartphone, tablet, or laptop connected to it. Since a mobile internet connection will likely be spotty it is an ideal way to keep the kids busy with pre-planned movies and music brought along. 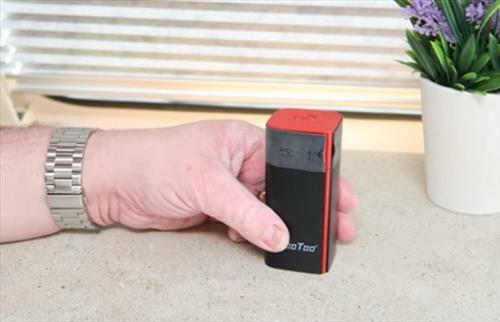 The TripMate Titan is a very good travel router with many features to fit most any scenario. TP-LINK also has a few different portable routers available each with different features. The TL-WR802N is a wireless-N unit that has a transfer rate of up-to 300Mbps. A USB drive can be plugged into it allowing for multiple streams of music or videos to anyone in the car. If you have all your media on a computer at home they can be easily transfer to a external hard drive or flash drive and after plugging into the TL-WR802N shared with any one with-in range. It also can support Router, AP, Client, Repeater and WISP. It is a low cost unit that has many features that many will find useful. This portable router has many features but its main feature is to share a 3G/4G mobile connection and boost the signal. This small device from Netgear is built to boost a WiFi signal in a variety of ways. Router mode, which turns an Ethernet connection into a private WiFi hotspot network. Extender mode which extends a WiFi signal. It also has Hotspot mode and Bridge mode. I was led lead to believe that Auto WIFI adaptors were expensive. Is this the same as they have in busses and public buildings?? Do they work while in motion? Your red one looks all the world like the $12.00 adaptor I have to recharge my cell phone that drains the power instead. haha!! Good day so I am looking purely to have a stable WiFi network in my car and browse at any moment and stream radio or video (youtube etc.) Which is best? I would like to set up my old smartphone (which no longer has a SIM card) on the passenger side of my car so that when I make a call or receive a call on my smartphone (which is on a dashboard mount for hands-free operation), I can include my passenger into the conversation (including video) so I don’t have to remove my phone and the passenger can use the spare phone either mounted on the dashboard or in their hands to either see better or to listen more closely if road noise is too much. Will one of these portable routers be the answer to my dilemma? which would be best for this application? As a dinosaur over 60, I need all the help I can get to understand this stuff! No this is not possible with this product.. Maybe not at all..
does any body know where i can find a in car wifi router that does not require an ethernet cable.